Before we headed off on our recent adventure to Nepal we were stuck on what to pack. We knew the basics (yes mum we remembered our toothbrush) but what about the little tips? 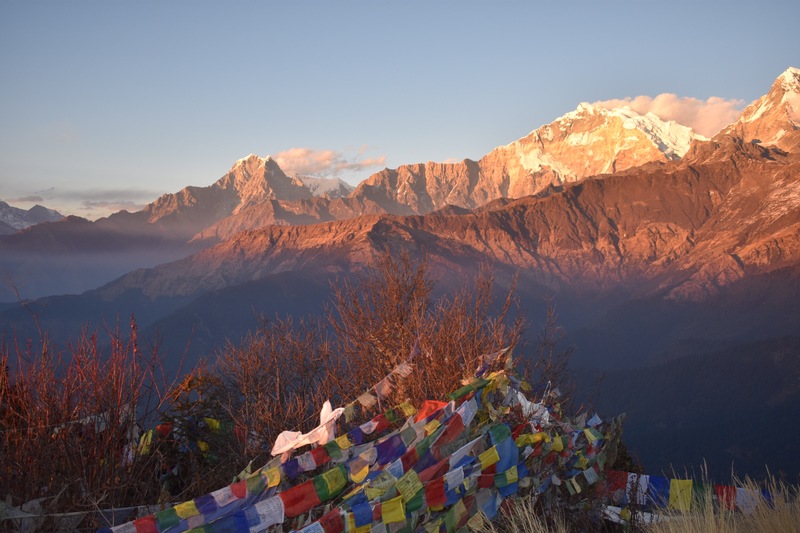 Here are some of the things we want to pass on to travellers before they head for Nepal! 1. Food – for the duration of our trip we chose to avoid meat and dairy, as you have less chance of getting infections and nasty parasites. Meat is a luxury in Nepal so by eating vegetarian you are actually eating more traditional meals. The food is delicious and homey, our favourites were the vegetable momo (dumplings) and the vegetable curries. Throughout the trip we took x vitamin & probiotics. 2. Socks – hiking for up to 7 hours a day we found that wearing a pair of sports socks under our thick hiking socks allowed our feet to breathe and avoid blisters. 3. Cash – ATMs generally only distribute 1000 rupee notes which most store owners hate. Head to a money exchange centre to break down your big notes, especially for when you are up in the mountains. Budget for approximately $20 AUD per day for food/beverages on the mountain plus 1,000RP tip per day for your porter. 4. Toiletries – some of our life saving items this trip were baby wipes, Berocca to keep your energy levels up, compede strips for blisters, strapping tape and dry shampoo (our fave in Aus too). Don’t forget to take toilet paper with you wherever you go! 5. Drinks – avoid alcohol as much as possible when you are up high if you are not accustomed to altitude as it often makes altitude sickness worse. 6. Visa’s – getting a visa upon entry to Nepal is $25 USD for Australians. It is best to pay in cash to avoid extra fees and get through customs quickly. These are just a few suggestions we have that made our trip a whole lot more enjoyable. Comment below if you have any other tips for people travelling to Nepal!